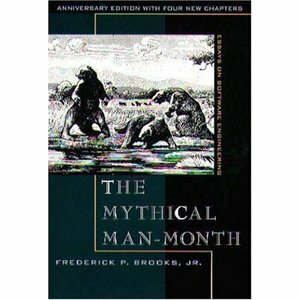 In 1959, William Strunk, Jr. and E.B. White published a helpful guide to anyone who cares about the written English word. It was called "The Elements of Style," and it is the most concise and helpful style guide ever published (in the opinion of your humble scribe.) David Shipley and Will Schwalbe, of the New York Times and Hyperion Books, respectively, have attempted to do the same with e-mail in their book "Send: The Essential Guide to e-Mail for Office and Home." Have clarity in your subject line. "Rescheduling our Tuesday meeting to 10 am" is a lot more likely to be read than "FYI," even if the body of the e-mail is the same. Use mirroring. It is hard to relate tone clearly in e-mail, so mirroring the other person's degree of formality, brevity, style of greeting, etc. is almost always useful. Understand your relationship to your audience. You would speak differently to the CEO than a buddy you are planning to meet for happy hour. Write accordingly. Make sure e-mail is the right medium for the message. Many topics are best handled via face-to-face meeting, phone, IM, or a good, old-fashioned letter. Never put anything into e-mail that you wouldn't want a jury to read. Remember Elliott Spitzer's advice, and that "SEND" is a four-letter word for a reason. Although I don't agree with everything they wrote (e.g., their advice on not using "please" and "thank you" in e-mail), I found this to be a nice reminder about good e-mail habits. Check out http://www.thinkbeforeyousend.com for additional details as well. Now that I've devoured the latest Harry Potter book, I am excited to share with you a couple of my favorite recent reads, especially those relevant to knowledge workers. We have more common ground now, as David loaned me a classic from his library called "Innumeracy: Mathematical Illiteracy and Its Consequences." John Allen Paulos published this book in 1988, and it holds up well nearly 20 years later. 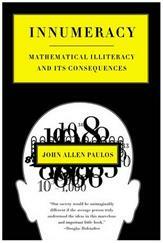 Paulos doesn't just rant about the lack of mathematical literacy in an increasingly technology and math-dependent society, he tells interesting stories to illustrate his points, and he explains mathematical ideas that are important in our daily lives in a way that resonates with ordinary people. I finish the book without suddenly turning into a "quant guy," but the combination of Paulos's compelling case for why math is critically important and the approachability of his writing about it makes me want to know more. I'm pretty sure that David wasn't trying to lump me in with the math-challenged, but I've stopped buying lottery tickets just to be sure. 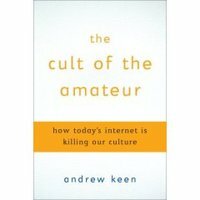 One of the emergent trends in Web 2.0 has been the "Wisdom of Crowds," namely the contention that large groups of people are smarter than a few elite experts. I finally bowed under and read James Surowiecki's book of that title over the holidays. As with several current books of its type that discuss macro trends in business and pop culture via "pop science," (Malcolm Gladwell comes to mind) its central themes are widely known and referred to as part of popular culture. The other thing this book has in common with most contemporary books of this type is that the subject matter is probably better suited to a 10-20 page magazine article in, for example, Harvard Business Review, than to a 284-page tome. 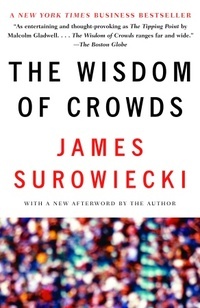 Being a business person and not a sociologist, I found the most useful elements of Surowiecki's discussion of what makes crowds wise (e.g., diversity of opinion, independence, etc.) or unwise (e.g., herding and information cascades) to be his thoughts on how working teams, even where "n" is < 10, can be most effectively structured. The other takeaway for me is a reinforcement of a belief that most mainstream financial markets are exceptionally efficient, and that "chasing experts" is an exercise in futility for most investors buying highly liquid, highly transparent investments.